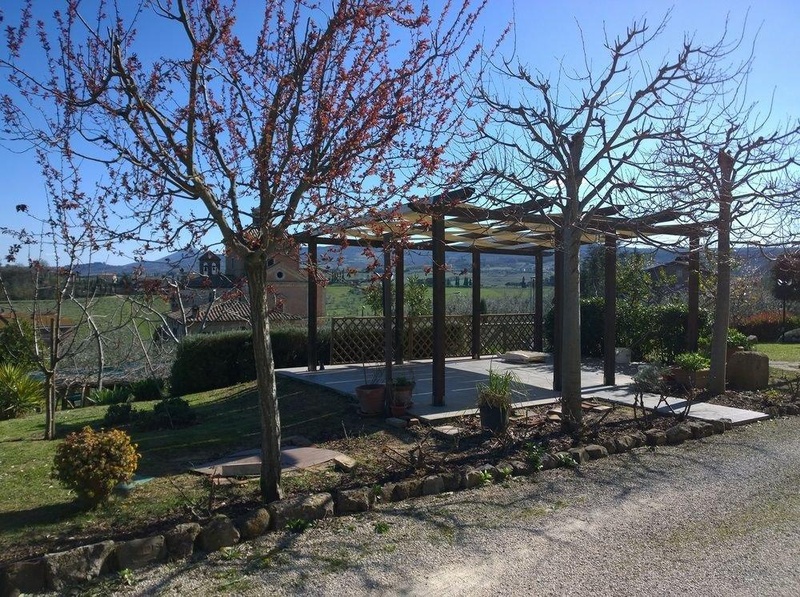 Property Location With a stay at Madonna della Rosa in Chianciano Terme (Val di Chiana), you'll be minutes from Archaeological Civic Museum and close to Terme Sant'Elena. This apartment is within close proximity of Chianciano Art Museum and Parco Acqua Santa.Rooms Treat yourself to a stay in one of the 2 guestrooms, featuring fireplaces and flat-screen televisions. Rooms have private balconies or patios. Cable television is provided for your entertainment. Conveniences include desks and separate sitting areas, and housekeeping is provided on a limited basis.Amenities Take in the views from a terrace and a garden and make use of amenities such as complimentary wireless Internet access. Additional amenities include babysitting/childcare (surcharge), tour/ticket assistance, and a picnic area.Business, Other Amenities Featured amenities include dry cleaning/laundry services, luggage storage, and laundry facilities. Free self parking is available onsite.